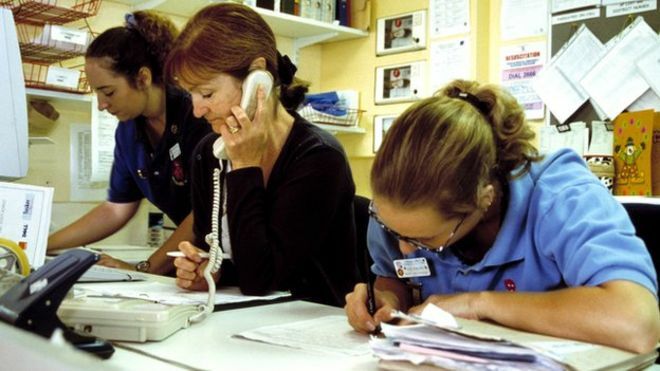 Ministers have set out details of how they aim to save the NHS £1bn on agency staff costs over the next three years. In June, the government in England said agency spending was to be capped and it has now unveiled details of how that will work. From April, NHS trusts will not be able to pay more than 55% more to agencies than it costs to pay a member of staff for a shift. It comes amid mounting pressure on NHS finances. Figures released last week showed trusts had overspent by £930m in the last three months – with agency spending highlighted as one of the biggest factors. Ministers believe the move will save £1bn by April 2018 – the equivalent of shaving 10% from the £3.3bn annual agency bill.